some recent logo work i did! logo work is probably the easiest AND the most difficult thing to do, at least for me. on the one hand, the artwork is less involved, it's usually vector so no crazy rendering, and it's limited to a handful of colors. BUT because of the brand recognition it needs to catch the audience at first glance and that's so tough to do with the limitations of a logo. both of these logos were done for one of the coolest clients an artist could ever ask for - the owners of my local comic shop, Third Eye Comics (Steve & Trish). 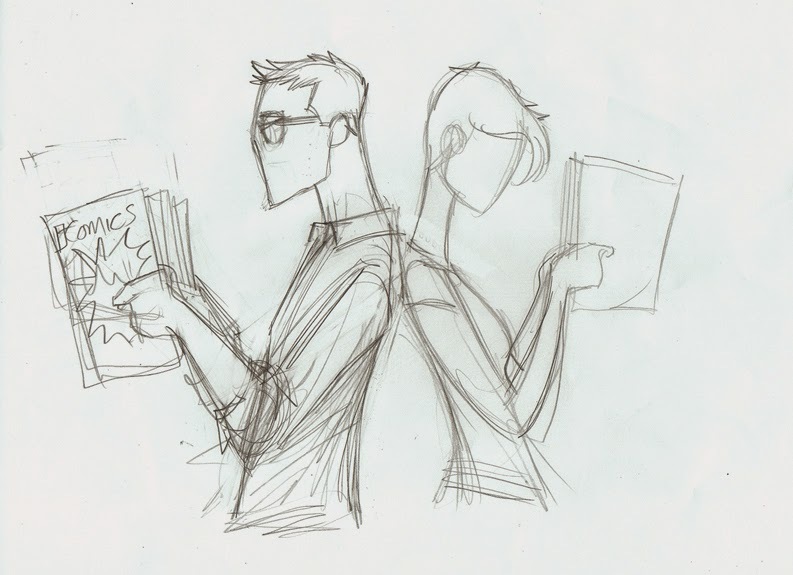 now if you know them, you know they're more than just owners of a comic shop. their amazing insight into business is why their shop is flourishing in an industry that has been more and more in peril as technology gets better. they're partners with the guys that run Awesome Con DC which, only in their 2nd year, has grown so big that it's expanded into 2 other cities. on top of their great business savvy, they're also just the coolest & humble people you could ever know. the top logo is for an event that the ID STUDIOS crew will actually be taking a part of next weekend. it's part of the Baltimore Book Festival in Baltimore, MD. 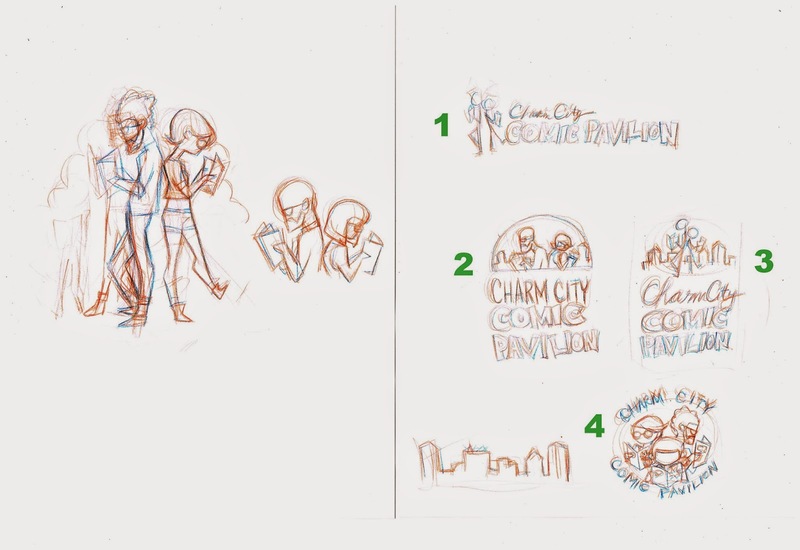 they will have a section that celebrates all the cool stuff about comics called the Charm City Comic Pavilion. we'll be there along with other comic creators so if you're in the area, come on out to the Inner Harbor on Sept. 26 - 28! 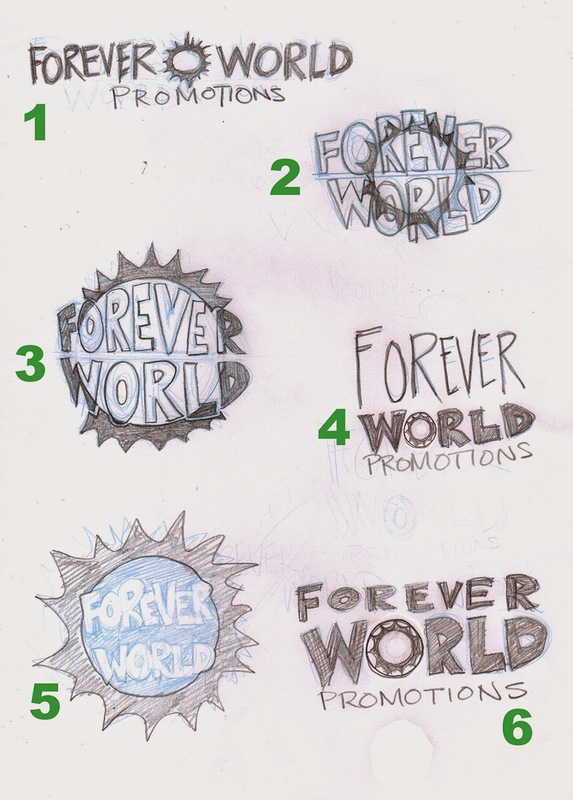 the second logo is for a new company that Steve & Trish are starting to do events with a nerd culture theme - Forever World Promotions. watch out guys, that's gonna be big! seriously! now, Steve & Trish are 1st class clients and they definitely understand that an artist's time and talent are valuable. they know that it takes money to make money but unfortunately not all clients get that. i can not stress enough the importance of artists not falling into the trap of designing logos in exchange for "exposure." other artists have probably heard this about 1 million times but just place this in the million and ONE column. anyone that is willing to pay for logo work with exposure doesn't understand the value of what they're looking for. i can harp on and on about why artists shouldn't work for "exposure" currency but chances are you've heard it all already (and written out more intelligently than my ramblings.) if you're just starting in the industry, you can do that but your experience of having done that is much more valuable than any exposure they're promising. just remember one thing - if it's "easy and simple" and it "shouldn't take much time to make," then they can do it themselves. but they can't. that's why they ask an artist to do it.